In the episode 14 we discuss the different constraints that we can use to create functional solutions in training that trigger performance outcomes. What are the demands of the sport, the degree of variability in canoe slalom that can potentially be used and structured to plan an effective learning process. We discuss 3 categories of constraints: Individual constraints, Environmental (physical, cultural) constraints, Task constraints; and how we can use those different types of constraints to modify the training environment to learn meaningful outcomes that match the “real stuff” of racing. In the Episode 13, I speak about the basics skills we all need to master to later progress in the sport. Stroke, Transmission, Steering, Balance are the building blocks of the sport; they are the fundamentals that need to be continusously mastered day after day to become more and more accurate. Stroke will enable you to create a fixed point in the water on a meaningful spot of the river; transmission will help you bring that force from the top (blade) down to the boat or from the bottom (boat) to the top (blade) by organising your body in a smart way; steering happens when you start using you boat and hips to apply pressure on the water with your edges and create speed. Of course, the balance will be key all the way thourgh the progression and enable the paddler to stay on top of his kayak. You will find simple but effective drills to explore those fundamentals but think for yourself and explore the possibilities. Available on Apple Podcast as well!! In the Episode 12, for the first time, I explore without a host, the warm up routine, and why it is important to enhance the learning opportunities and performance. In Canoe Slalom we have all been there, with a bad warm up or a good warm up and we have seen the difference. The statement “My body is a temple” is critical to ease the body more often into a good warm up routine: food and water intake, good sleep are the strong base to ease the body into the zone. Warming up is important to help the body to get into the right emotional and physical state: by a serie of physical, cognitive tasks that challenge the nervous system, we gently put the body into the zone, the state we called the flow, to thrive for performance. Cardio vacscular arousal, balance, breathing, dynamic stretches, technical drills, proprioception, self talk and so on are tools and behaviours we can use to trigger a chain of physical reactions that will ease the body and mind into the right emotional state. By consistently and purposefully using a variety of tools to warmup we get to experiment, practice, choose and refine our routine to better discover what is useful for us to thrive. A long term benefit is to teach the brain overtime what is acceptable to get into the zone; because the brain is lazy and rely on the least amount of energy to survive, we need to practice everyday to remind him what works best for us. But hang on! the brain tends to avoid the so called negative experiences, so make your warmup is exciting and full of games, challenging, to you make sure you maximise the efficiency! Pick tools according to your warmup as well, don’t go full board everyday or you will brun out! So next time, you are late for training, at least you will know that you can pump your brain up cognitively or by doing breathing exercises in your car on the way to training to anticipate the huge load of information that will be thrown at you on the whitewater. Fabien Lefèvre is a French paddler that has raced for France from 2000 to 2012 and for the USA from from 2013. 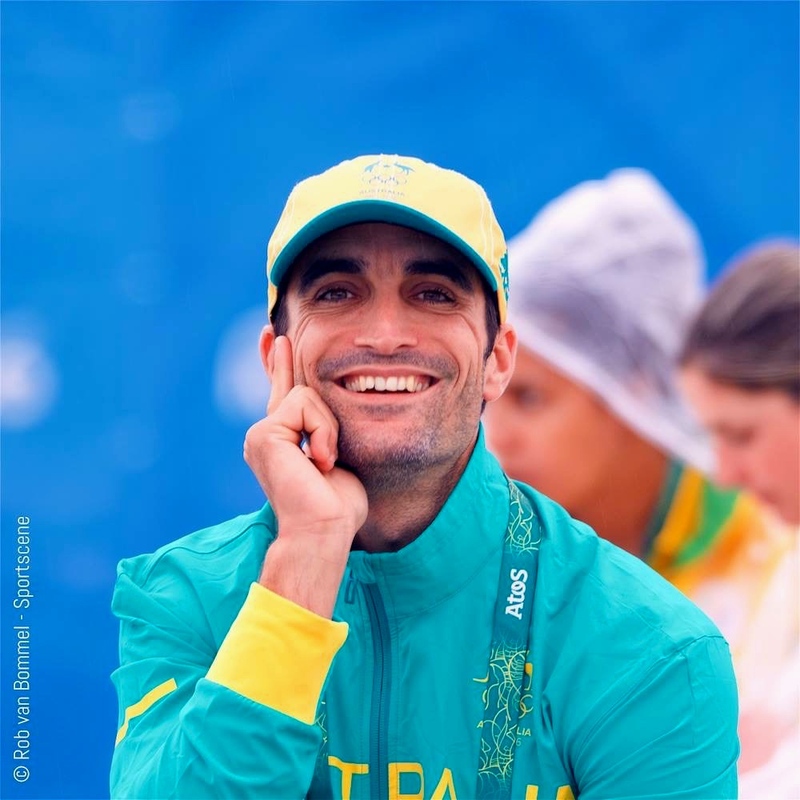 He is double Olympic medallist (Athens and Beijing)in Kayak, 3 times World Champion in individual event including 2 titles K1, 1 in C1 and on top of that to Silver medal in C2; those results make him the most successful paddler across all classes in canoe slalom. And 4 Gold in the Teams Events in K1 and C2. An an overall World Cup Win in K1. Fabien is well known for is blistering ascension to the top of the Canoe Slalom World with a first K1 World Champion title at 20 years of age and his unique successful career in 3 classes in the sport and the innovation he’s brought into canoe slalom paddling. Fabien has always been a polarising person; I really urge you to listen to what he has to say with an open mind because Fabien discussed the many incredible subjects with depth. With decades of experience, he doesn’t speak directly about technique and skills development but rather about what underlines those and how to trigger the best learning. In this very inspiring talk, Fabien discusses his growth thanks to the sport with the help of his ego first and then how his encounter with God helped him to shed his skin and move forward. Now growth of the soul and spirituality are is main goals in life. His approach to performance his truly holistic as he speaks about being align with your values, deep motivations, belief system and how you have to behave according to those everyday in training and racing. He discusses the Men’s Kayak training group in the early years with Benoit Peschier (2004 Olympic Champion) and myself and Sylvain Curinier as a coach. The quality of the communication was critical rule for us. We speak about the challenges of K1, C2, C1, the skills he developed in each class, the evolution of boat design and innovation, the difference between the French system and the American System and why he chose to compete for the US. Listen until the end because at the end, Fabien tells us the many meaning of his tattoo on his torso. Bear with us, because there are many gold nuggets to athletes here on how to become more organic and aligned with who you are in your paddling career. Enjoy this very deep and inspiring talk with Fabien Lefèvre. Sherry is a Canoe women athlete who won Silver at the Asian Games in 2018 and 2014. She has an inspiring story starting in a swimming pool in Taiwan and now racing against the best in the World across the globe. Sherry wants to learn as much as she can about canoe slalom to be able to give back to this beautiful Olympic sport. After graduating in Sport management in Taiwan, Sherry is now training full time to prepare in the hope of a selection to the Summer Olympic Games in Tokyo in 2020. On her path to excellence, she has learnt a whole lot as an athlete, a coach , head coach, and a race organiser. She is always thrilled to have the privilege to race in Europe on Olympic venues, be part of the ICF Talent Identification Program. Sherry would like the Asian countries to collaborate better so they can mutualise their efforts and resources to develop the sport in the Asian region, Thailand, Indonesia, Philippines, Malaysia, Taiwan, Japan and China. Human ressources are there but they need still lack the knowledge to be able to run events efficiently. As she puts it, an Asian Cup organised by the Asian Canoe Confederation would be an exciting prospect!